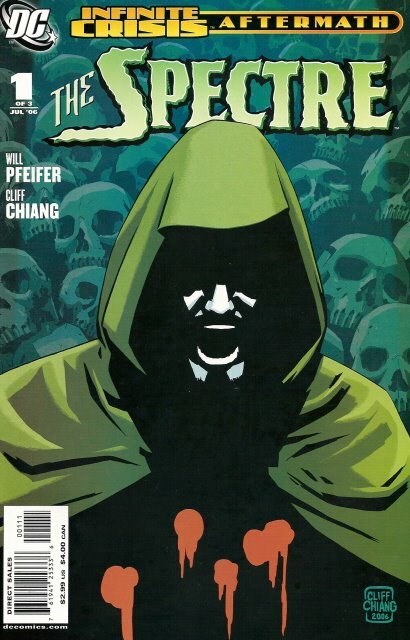 COMIC STORY ARC: THE SPECTRE REBORN! A great new Independent Title! As times change, so does DC comics. DC comics have changed former Caucasian characters with the events from the Infinite Crisis and The Seven Soldiers of Victory storylines and re-introduced these heroes as minorities. The Atom is now Asian; Firestorm, Mr. Miracle, and The Spectre are African American. The Original Manhunter from the forties as well of the seventies was a male. The Manhunter of today is a female of Hispanic decent. I commend DC Comics for their vision and growth through the stronger presence of minority characters in the DC universe. 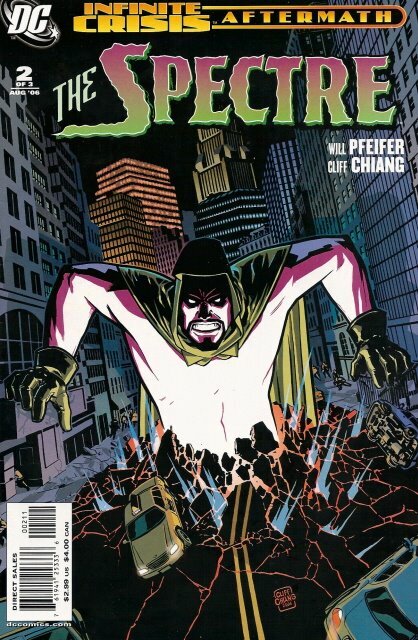 Now with the re-introduction of The Spectre, Interesting stories and sub-plots abound. In 1973, I purchased the DC comics title, Secret Origins of superheroes and super villains #5. The title had reprints of the DC characters from the golden age of comics. 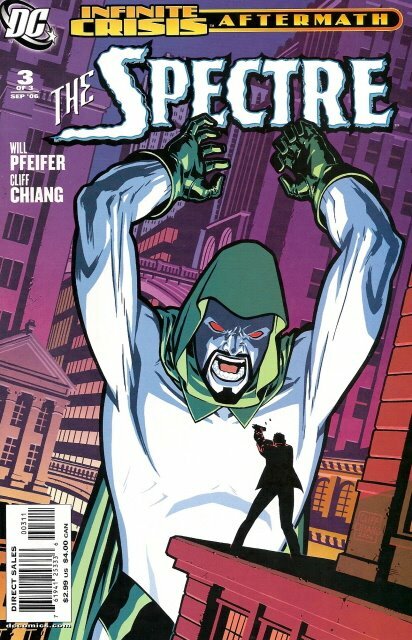 This issue featured the origin of the original Spectre from Fun Comics in 1944. 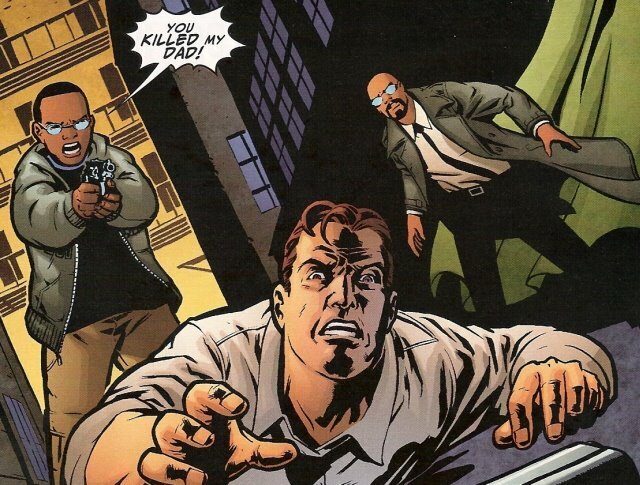 I was fascinated and intrigued at how detective of Justice, Jim Corrigan died a horrible death by a mobster, but given a second chance to continue the work of a higher calling and avenge his death. The catch is hosting the Spectre in his body for eternity. I followed this character to his stories in Action Comics, which was drawn by the great Jim Aparo, up through volume 2 of the series in 1989. When my grandmother passed away in 2001, I experienced first hand the power of God. Crispus Allen wanted desperately to connect with his family from the other side. Unfortunately, it was not his destiny. 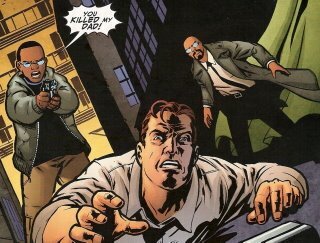 Crispus was murdered by Jim Corrigan a detective that fought for justice, not only as law enforcement official but also as The Spectre. Someone killed Corrigan many years ago. The Spectre gave him the occasion to admit justice to the wicked and offenders. 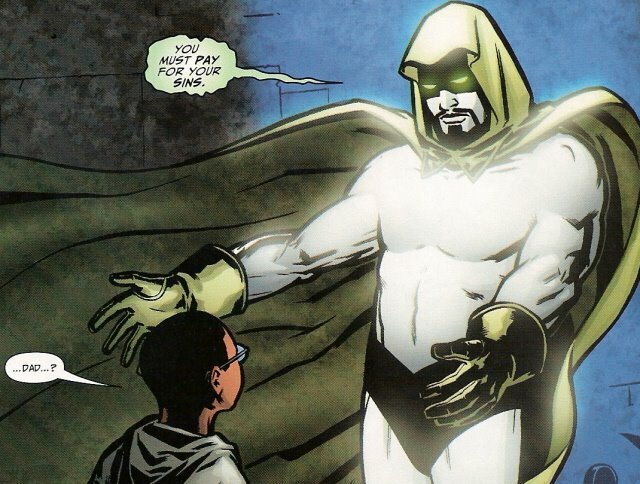 He fought justice for many decades hosting the spirit of the Spectre. Eclipso coerced detective Jim Corrigan to commit the deadliest of sin and betrayal. Crispus's spirit viewed his family grieving for him at his own funeral. Crispus’ sons and his spouse were sobbing and asking the question why? Crispus' spirit is in purgatory, in between heaven and hell; he has yet to cross over. 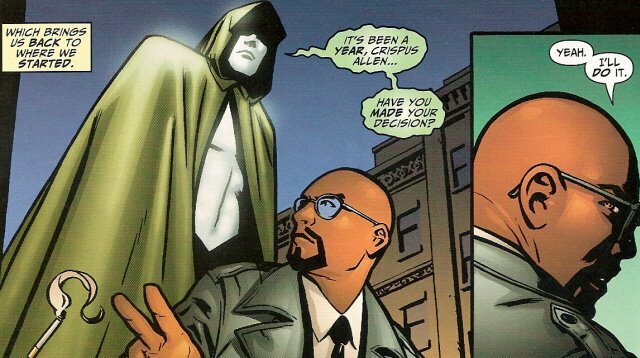 One day The Spectre came to Crispus and gave him the same choice as Corrigan, but Crispus denied this opportunity. The Spectre gave Crispus one-year to strongly consider his decision. The year passed, a year follows, and Crispus realizes this may be his only chance to seek retribution by the man that killed him, Jim Corrigan, and an opportunity to say farewell to his family. My Grandmother came back not only to me but also to my fiancé simultaneously, and floating high above us in a bright iridescent light that is hard to describe to this day. I could not move in her presence. I dropped to my knees and gave thanks to her for keeping her promise and letting me experience this with my wife to be. Crispus’ connection with his relative was not what he intended. He put down the hammer of righteousness and justice, but has no power to pass judgment. This excellent and moving story of a father’s love to reconnect with his family from the afterlife is what make’s the Spectre character connect with readers. The amazing artwork by Cliff Chiang is clean and expressive. The panels with the Spectre serving punishment in the name of justice to the wicked makes a person realize and ponder their own sins. The ingenious hand of the Spectre’s punishment is unique to the crime committed. The justice served on a child molester is death by the hands zombie toy dolls. An occultist who is also a serial killer that can see the spirit of Crispus Allen, taunts him, but is burned alive, and feels the pain and anguish of his victims. 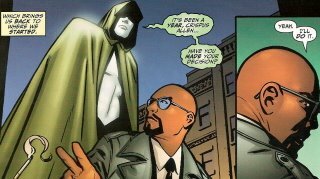 Yes, readers the Spectre has returned with a new host body - that of Crispus Allen the former Gotham City police detective is still serving justice, only this time as the Spectre. The Spectre's duties are not over. The new Spectre's way of justice has just begun. His adventures are going to rise in the rebirth of The Tales, the unexpected title premiere in September. This title is highly recommended! The mini-series Infinite Crisis Aftermath, the Spectre deserves a five star rating.